With a good amount of competition, it's important for bar and restaurant owners to establish an element of surprise and authenticity. 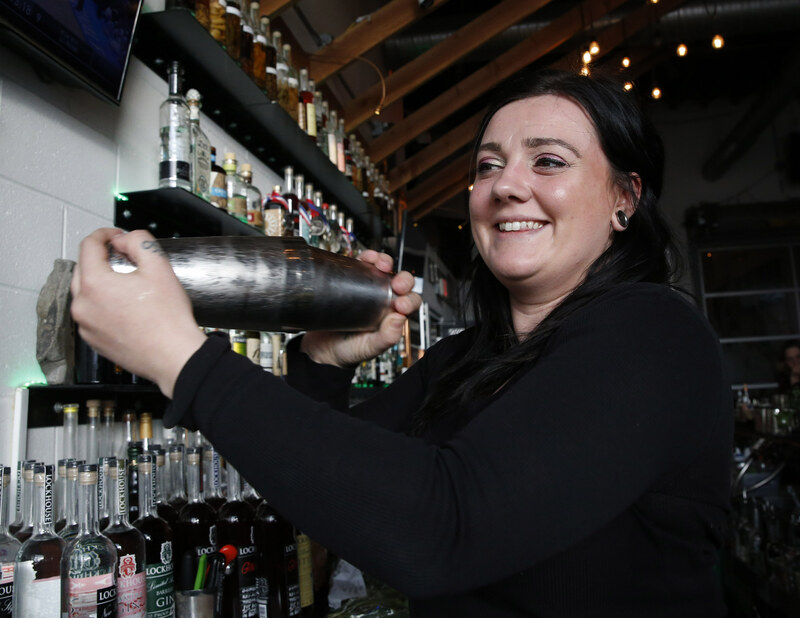 Bartenders are challenging themselves to think creatively and experiment with flavors and ingredients to stand out. In the first of our new occasional series on cocktails, here are five colorful drinks to try. These stood out because of their unique take on adding vegetables, a little magic, and even unusual seafood that makes them wild enough to attract the adventurous willing to drink outside the box. If the unique location wasn't enough to draw you in, the drinks and food certainly will be. I've visited for breakfast when I was staying overnight and brunch and dinner twice with friends, allowing me to try a variety of entrees and apps. A menu staple is the Bourbon Milkshake, a drink the staff said probably will not be removed because there would be an uproar. I'm not even a bourbon fan generally, but you just get a little sting from the bourbon right before it’s overpowered by the sweet maple syrup and melted, creamy fresh vanilla ice cream. Restaurant manager Kendra Folsom suggests pairing the drink with the restaurant's burger, and I couldn’t agree more. 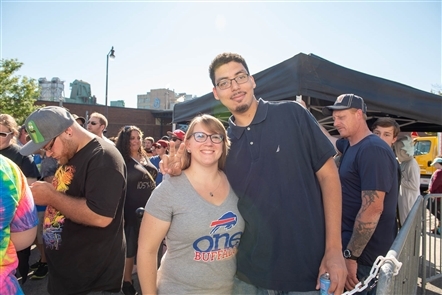 It’s one of the best burgers in Buffalo. Loaded with high-quality cheese, housemade bread-and-butter pickles, housemade rolls (and housemade butter slathered before toasting the rolls), and high-quality beef, it’s the perfect blend of savory salty, and sweet when paired with the cocktail. Salad turns cocktail with the fresh, herbaceous Broken Garden Tools cocktail that has stayed on my mind since I first tried it more than a year ago. Dapper Goose owner Keith Raimondi said the drink was originally thought of as a brunch cocktail. “When we finished it, we realized that its savoriness went really well with all of our dishes, so we decided to make it a part of our everyday menu,” Raimondi said. 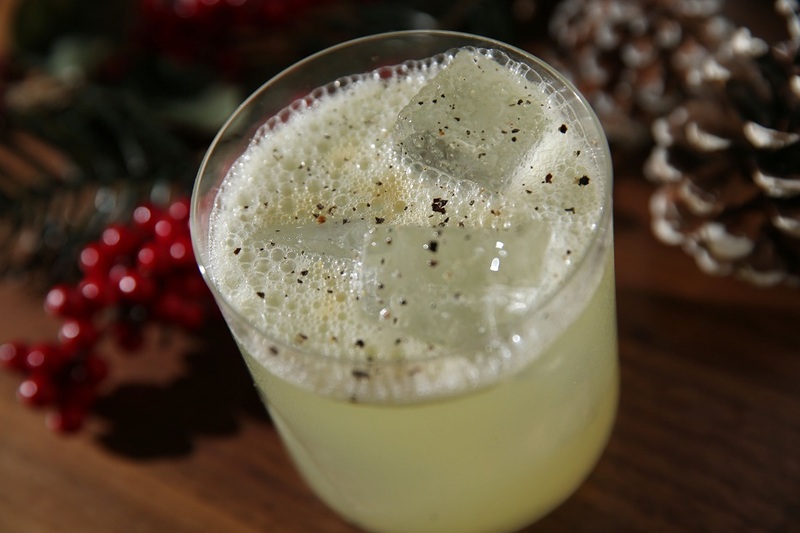 The cocktail consists of floral gin, fresh sour lemon juice, bright green celery juice, parsley syrup, and a dash of peppery Moroccan bitters with a sprinkle of cracked pepper. The fresh flavors of the parsley and celery are strong up front, with the spices leaving a tangy sting on the tip of your tongue. The smell of the fresh-pressed juices and herbs brings me back to hot summer days, picking out herbs to cook with from the garden. Stocking its shelves with its specialty bottles used to create delicious cocktails, the selection at Lockhouse includes this unusual color-changing cocktail. 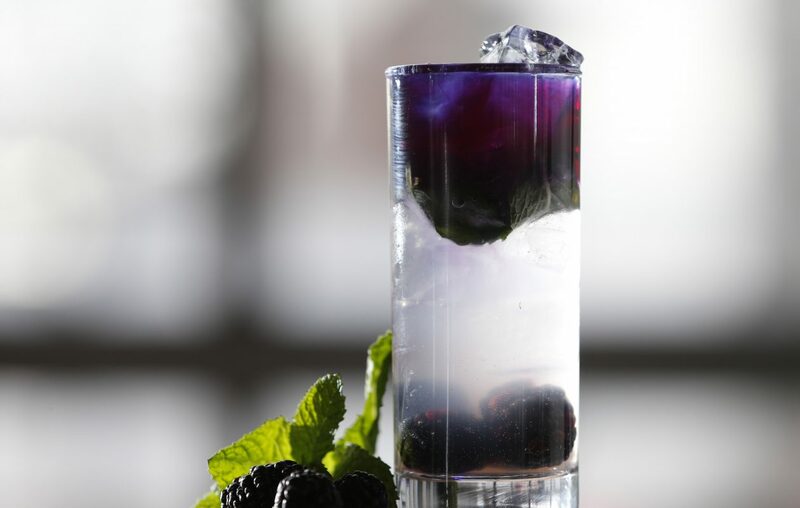 The Butterfly Effect highlights Lockhouse vodka, with berries, citrus, maraschino and an ingredient that adds some magic to the drink, the butterfly pea flower that changes color when citrus is squeezed into the drink. It begins as a deep blue and once the lime is added, slowly changes to a bright purple. The Lockhouse vodka has a buttery smooth finish that pairs nicely with the sweet ingredients. The tart citrus from the lime cuts through the sweet, balancing the cocktail overall. Don't use a straw - instead sip it slowly to get the full range of the layered flavors. Cantina uses the tangy, slightly sour homemade margarita mix as a base that’s flavorful without having that intense “fake” overly sweet flavor from store-bought mixes. The smokiness comes from the mezcal and the pungent, black Himalayan salt around the rim. The smoky flavor pairs well with the restaurant's tacos, especially the California fish taco with flaky fish fried until crisp, smothered in a creamy spicy sauce, and topped with pickled onion and cabbage slaw for crunch. This off-the-menu shot is Kuni’s best-kept secret. It has the feel of an oyster shooter with similar salty, briny flavors, but Kuni's has created its own rich, creamy version by combining a small quail egg yolk, a piece of uni, sake (my preferred choice) or shochu (a Japanese vodka), a dash of spicy sriracha, salty tangy soy sauce, and tart lemon zest. Chef Kuni Sato has visions of flavors that will pair well, often nailing his risky trials. You knock it back all at once, letting the flavors of the silky yolk and ocean brine uni with citrus notes play off each other. On these cold Buffalo nights, one of these will heat you up immediately. You can pair the shot with an order of charred, crispy octopus skewers, a piece of salmon roe sushi (I suggest adding a quail egg yolk), or any of their many classic sushi rolls.